This year marks the return of the drive-in movie to Spokane. Some smaller events have been held in the past, but this year The Family Guide and FunFlicks will set up their giant 55 foot screen at two local locations for movies in the evenings throughout the summer. Spokane County Raceway 750 N. Hayford Rd. Movies will start at dusk ( 9pm or so ) with gates opening to the general public at 7pm. A selection of vendors will also be on site. 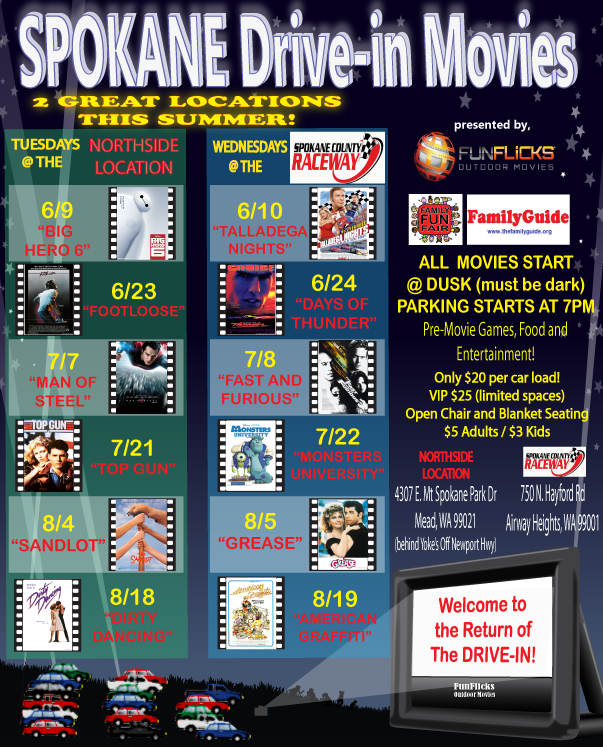 The movies are also fairly priced with prices being $20 per car load and $5 adult / $3 child for their open air seating area. Note: admission is cash only, no credit cards will be accepted. The movies at the Spokane County Raceway will also have another cool feature, a separate beer and wine garden for the adults. The Raceway will also keep it's concessions open on movie nights for snacks, sandwiches and much more. Perhaps from either there many radio & TV ad's aired around Spokane each day, or maybe by word of mouth for their excellent service. Either way, chances are pretty strong that if you live in Spokane area who know of Zerorez. And, now even more people are going to be finding out about this unique carpet cleaning company with their move to a new shop in the Spokane Valley. Zerorez is moving into the warehouse at 13110 E. Indiana, just west of Spokane Valley Mall. This new location increases the company's visibility as they are now located just off of I-90 with their logo on the wall of the building facing the busy freeway. And, it's not just the visibility that makes this move exciting for Zerorez, it's the building itself. This new space is going on three times as large as their old location. Before Zerorez's home was only 7,000 square feet, now with this new location they will have over 20,000 square feet of shop and office space. And with the more space is coming more new jobs. They plan to have up to 19 technicians on staff, who are fully trained via Zerorez's extensive 3-4 week training program. This ensures that job is done right each time they are called out. Zerorez Spokane is the local franchise of Zerorez, a Utah based company. Zerorez is a carpet cleaning company that utilizes proprietary technology to create what they consider an empowered water for cleaning. Their carpet cleaning process is most unique because they don't leave any residue behind, like many of the other carpet cleaning processes. In addition to cleaning carpets Zerorez also offers cleaning services for area rugs, upholstery, tile & grout and air ducts. @Zerorez Spokane Valley 13110 E. Indiana Ave. The Orlando, FL based Olive Garden chain has closed one of the it's three Inland Northwest locations. The location affected is the Downtown Spokane Olive Garden at 221 N. Wall St. This location is next door to River Park Square in the Old City Hall building. The closure has been called strictly a business decision as this Olive Garden had been underperforming for some time. This has been based by some on the more prepared, non-authentic nature of the Olive Garden chain. The location closed at the end of the business day on May 23rd. . 80 people worked at the Downtown Olive Garden, all of which will be laid off and invited to re-apply for other openings within the chain's system. A source tells INBW that employees we're given a severance package of two weeks pay. Coeur d' Alene - 525 W. Canfield Ave. There is no known replacement or renovation plan for the space the restaurant chain occupied in the building. The Old City Hall building has struggled itself to secure retail and restaurant tenants with a largely vacant second floor ( except Bozzi Gallery and a couple other small tenants ). Olive Garden is a brand of the larger Darden Restaurants, also of Orlando,FL . In addition to some growing brands, Darden also once owned Red Lobster restaurants who have also had some sales issues in recent months / years. There are no planned closures for Inland Northwest area Red Lobster restaurants. Downtown Spokane becoming a hub for the local craft beer scene? Spokane is a great place for a craft beer lover, our region is now dotted with dozens of microbreweries cranking out many different types of beers. In fact our city is the first to have it's own style of beer, " Spokane style" which is an officially recognized style after NoLi Brewing Co created it a couple of years ago. But unlike some cities / regions around the United States, Spokane has no central district for it's breweries. And although I support having beer made in every corner of the Inland Northwest, a certain brewery district of sorts could really give a boost to both that neighborhood and the local breweries. After a couple of years a setting their sights only on selling their beers in the wholesale marketplace, Orlison Brewing Co. of Airway Heights will be remodeling an historic downtown space for a new tap room. The new space will be in the former Luxe Coffee Shop storefront at 1017 W. 1st Ave. The Orlison Brewing Downtown location will feature 16 different beers on tap and offer some of the breweries more experimental batches, etc.. . The building Orlison will be located in also has a large ballroom, and they are working on possibly gaining occasional access to that as well their own space. Orlison Brewing Co. will keep their HQ and production facility in Airway Heights at 12921 W. 12th. There is no official tap room at that building although they can, and still will fill growlers there. Young Buck Brewing still in development in Downtown Spokane + " The Incubator "
Young Buck Brewing is still working on moving into their own new space on the eastern side of Downtown Spokane. The brewery hopes to be all set up and open for business sometime this summer. 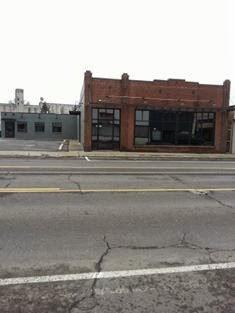 Young Buck Brewing will take some of the space in the former Spokane Public Market building at 32 W. 3rd Ave. . They are also of interest because they are the anchor brewery of sorts behind a new brewery incubator there. Several small breweries will actually share the space and equipment, a small tap room is even planned at the site to feature some of those newly created beers. We don't know what all breweries will be located at the new incubator but will continue to watch this development closely. One of Spokane's biggest breweries NoLi ( formerly Northern Lights Brewing Co. ) is confirmed to be looking a for a new space in the heart of the Downtown core. They plan to keep their brewery / restaurant however in addition to this new Downtown location. They have not yet picked this location however, so watch for more on this in the near future. NoLi operates out of the Riverwalk development, not far east of Downtown Spokane actually at 1003 E. Trent. This has been a rumor around town for a little while, and it is completely true. Only thing is they won't release any information on it just yet. Iron Goat will use to former Jones Automotive Engines building at 1302 W. Second. The building is a historic former warehouse / garage so it should make for an exciting new brewery. Currently Iron Goat Brewing is located east of Downtown at 2204 E. Mallon. 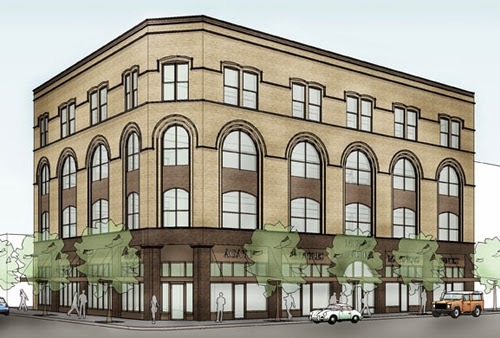 Downtown Spokane's Commercial Building to become hub for I502 businesses? I always figured it was only a matter of time before the marijuana industry hit the main downtown core of the City of Spokane. And, judging by a recent ad on Craigslist that time has come. Last week a company called R.U. Holding,LLC started advertising a long time vacant building on the west side of Downtown as what appears to be a sort of hub for such businesses. The building, which is known as the Commercial Building at 1119 W. 1st Ave. was home to a company called Blue Star Technologies and was to be used as production / office facility although it never took off and was later discovered to be a scam of sorts. The company was evicted and the building put up for sale. If this ad is correct it likely means the building was sold to this new holding company. 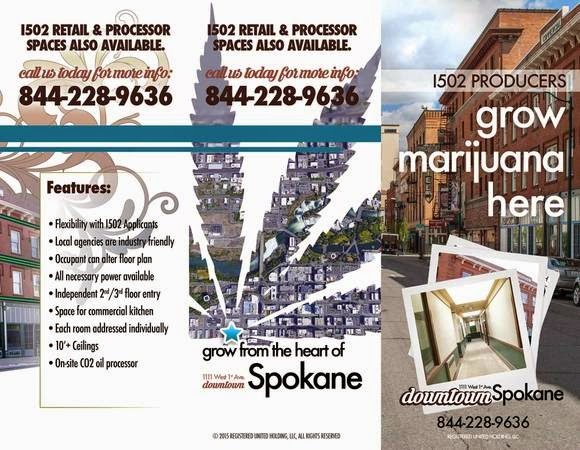 The ad's for the new space market it as 20,000 square feet of space with multiple suites for I502 marijuana businesses. Of those I502 businesses it is marketed to marijuana production and producers, the ad's also mention that a CO2 oil producer is already an on site tenant there. Likely most of the building will be closed off to the public and secured. But one space is being marketed for use as a business that would be geared towards the public. Some of the ground floor space facing W. 1st is to be leased retail marijuana store . This would be the first marijuana retailer in Downtown Spokane as the nearest retailer about 2 miles away. This buildings location gives it a sort of one up on the local marijuana tourism scene as it is close by many Downtown hotels, entertainment venues and tourist attractions. Downtown Coeur d' Alene, down on the lake and Sherman Ave. can be an awesome experience with all the cool local business and scenic views . But my favorite section of the Lake City has always been Midtown Coeur d' Alene. Midtown has a kind of cooler more alterative feel to it. Almost like a Downtown section just for the locals to know about. And as we approach the warmer months of 2015 an influx of new businesses is looking to set up shop in Midtown. Capone's Pub & Grill at 751 N 4th St has already started construction on an expansion of their building. The project will expand the seating area, etc... onto a lot to the south of the originally building. From Capone's ownership, Tom and Theresa Capone is a new smaller bar called Mid City Pub which opened recently at 816 N. 4th. Mid City Pub is located in the former Bo Jack's bar and is significantly smaller then Capone's but is still pretty cool in it's own right. Mid City has some small plates of food in addition to craft beers and some wines. What is to my knowledge Coeur d' Alene's first Tea House is coming soon to Midtown Coeur d' Alene at 901 N. 4th . The building which is actually a historic home was last used as another small business called Rustic Romance which apparently went out of business. The building will be extensively remodeled for this new use and that work is underway right now. 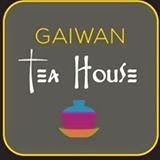 Gaiwan Tea House is described as being an organic loose leaf tea house. We are waiting to see when this new business will open their doors. We're expecting a grand opening to be in the near future for Pack Rat Estate & Junk Store a cool new locally owned and operated business that will fit right in with the other second hand / thrift stores that dot Midtown's landscape. Pack Rat Estate & Junk Store will open in the space that was last The Stash Box at 812 N. 4th. For one reason of another the Kombucha tap room and store has moved out of the space next door to the new Mid City Pub in Midtown. But the business, which is Bare Culture Kombucha is still very much alive and in fact they are still a part of Midtown. Bare Culture Kombucha is now sold and brewed at 1701 N. 4th . In addition their products are also sold at many health food stores, resturants and similar businesses all around the area. Including in a small store space within Winter Ridge Natural Foods in Sandpoint. Next door to Lett's Auto Repair in Midtown Coeur d' Alene is a new car wash to replace the old. The car wash is all newly upgrades with a cool new mural on the side of the building making it easily visible from N. 3rd. The car wash is now called Surf's Up Car Wash and is located at 1114 N. 4th and also includes a full service detailing department. Located on the same property as Surf's Up Car Wash in the 1100 block of N. 4th will soon be another option for espresso drinks and the similar. 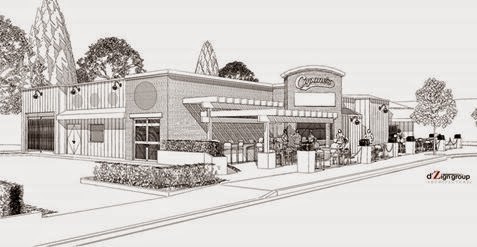 Great Escapes Espresso which is currently in Hayden at the intersection of Hayden and Ramsey plans to start construction soon on a new second location which will feature both drive through and a walk up window. Building permits are out with the City of Coeur d' Alene to remodel the former Galaxy Gaming storefront into a hookah lounge. We don't have a name on it yet but expect it to open in the near future on the far north side of Midtown at 2506 N. 4th. Gas station & c-store coming soon? Coeur d' Alene Press columnist Nils Rosdahl mentioned in his Business Bits column a few Sunday's ago that the small shopping center at the corner of N. 4th & Harrison has been sold to a developer in Spokane who plans to replace the existing center with a new gas station and c-store. I don't personally have the details on this project yet but believe it too be true as now 2 of the 4 tenants in the building have moved out with no new for lease signs going up. And, these we're the buildings bigger tenants... Just Roses and Interstate Office Supply. A barber shop and small gift shop remain as of my typing this but we will keep an eye on them as well. In case you haven't heard the former U City Mall in Spokane Valley is in being demolished. The part by Rosauer's is staying , along with a couple smaller buildings within the main structure, this includes the large photo processing business . We're told a major redevelopment project is in the works there. However the details have not yet been released. *Note: also a portion of U City's land will become a new city hall for the City of Spokane Valley. Also , A new library is planned nearby also. In West Spokane / West Plains two of Spokane's larger locally based companies are playing a bit of office switch a roo. One company is moving on up to much larger offices and another in downsizing, moving to Downtown Spokane but still remaining a piece of the Greater Spokane economy. Ambassadors Group / People to People , relocating to Downtown Spokane. People to People, a division of Ambassadors Group which runs educational / student trips all around the world has had some struggles in recent years. Lay offs have been known to occur at the Ambassadors Group HQ nearby the Spokane International Airport. In fact, when the company comes Downtown it will only employ about 100, down from more then double that at one time. But People to People is hoping to get a fresh new start by leasing new offices in the historic Holley Mason Building at 157 S. Howard . The company will occupy offices in the sixth floor ( suite 601 ) of the building which is also home to the large West Corporation call center which already employ's in the hundreds. People to People will be moving to this space from the HQ building of Ambassadors Group which is on the West Plains at 2001 S. Flint Rd. A big part of the reasoning behind the People to People move is the sale of their large office building on S. Flint Rd. not far south of US Route 2. The building had been on the market for about two years before the sale late last year. Although, the sale did not fetch the full asking price for the building it does mean new life there. Northwest Farm Credit, who is also headquartered on the western side of the metro area purchased the building with hopes of soon relocating their corporate operations there. The building marks a significant increase in office space for Northwest Farm Credit as the building offers 133,000 square feet and 11 acres of land. Currently the company uses around 60,000 square feet of space.In addition, Northwest Farm Credit will own the building as opposed to the lease situation at their current HQ. No word on exactly when the move into the new building will occur for the company which is a financial services co-op catering to the agri , farming and ranching community. While office vacancies are not ideal in the real estate market, it should also be noted that they do also open up space for new companies looking to come to the area and local start ups that are on the rise, of which Spokane has several. One such large office space vacancy will soon be the former Northwest Farm Credit HQ in the Sunset Pointe Corporate Business Park. The center which is managed by Spokane's Arger Co. Commercial Real Estate now has 61,400 square feet of rentable space available with 29,000 square feet being the smallest leasable space. There are no known tenants moving in yet as Northwest Farm Credit isn't actually out of the building just yet. The space is modern class A office space with 3 stories, plenty of on site free parking. And a parcel to the west that is considered phase II and is vacant land that is also available via sale. Over on the western edge of the Gonzaga University campus, construction is just getting started for a new six story apartment complex ( More on that here- http://www.inlandnwbusiness.com/2015/05/groundbreaking-tuesday-for-university.html ). But, also in the works and coming to an area around Gonzaga is a new large mixed use building. This mixed use project is in the planning phases just off of the eastern side of campus and nearby the Madonna Residence Hall. As you can see this building, which is yet un-named, will feature four story's of space. On the ground floor will be 17,000 square feet of commercial storefronts, all facing Hamilton, and likely perfect for restaurants, bars or retail businesses. Above that will be three stories of apartments, 66,000+ square feet and 57 units in all. Parking will be available in a lot at the rear of the building with garages to possibly be built for the apartment tenants. The project is being developed by Ferdinand CJF,LLC with a Kent Hull listed as the main developer. Currently the project is out for SEPA review and does seem to be moving forward, although it is important to keep in mind that this is not the first project purposed for the prime piece of vacant real estate in the Hamilton Ave. corridor. Keep an eye on inlandnwbusiness.com for more in the future on 1002 N. Hamilton Ave. The Michael Building / The Germond Block, whatever you want to call it, major renovations are nearing the end for the historic building on the northeast corner of E. Sprague and Lincoln in Downtown Spokane. 826 E. Sprague is the buildings address and it's bringing new apartments to Downtown and updated retail space. And, these are not your average apartments as The Michael Building is luxury urban living in residences with top of the line touches and of course location, location , location. The Michael Building overlooks part of the Davenport Hotel, near the STA bus plaza and only a couple of blocks from Riverfront Park and River Park Square. The building offers 18 apartments with one and two bedroom units available. Rental rates at The Michael Building are a bit higher then most in Downtown Spokane at near $1,600 per month for 1 bedroom and $2,300 per month for a 2 bedroom. But, despite the higher rental rates the building and it's location are worth it since about half of the apartments are already rented. The apartments take up all three upper floors of the four story building and offer exposed brick, brand new stainless steel appliances, newly updated plumbing and electrical and updates through out the entire building including a new secure lobby area on the ground floor facing E. Sprague Ave. . In addition to the new apartments the ground floor space has also received some updates and will soon be home to a new a restaurant. The space at the corner of Sprague and Lincoln will become Knife Burger Bar with an opening currently planned for August. In addition to Knife Burger Bar, Patit Creek Cellars winery's tasting room and Bruttles candies retail store are also tenants in the Michael Building that are planning to stay in their existing storefront spaces. * Also, check out themichaelbuilding.com for photos and floor plans of the luxury apartments. Spokane Teachers Credit Union ( More commonly known as STCU ) continues to expand through out the Inland Northwest. In recent months the credit union has moved into a new branch / office space in Downtown Spokane's Historic Hutton Building and opened a couple of other new branches around the area. 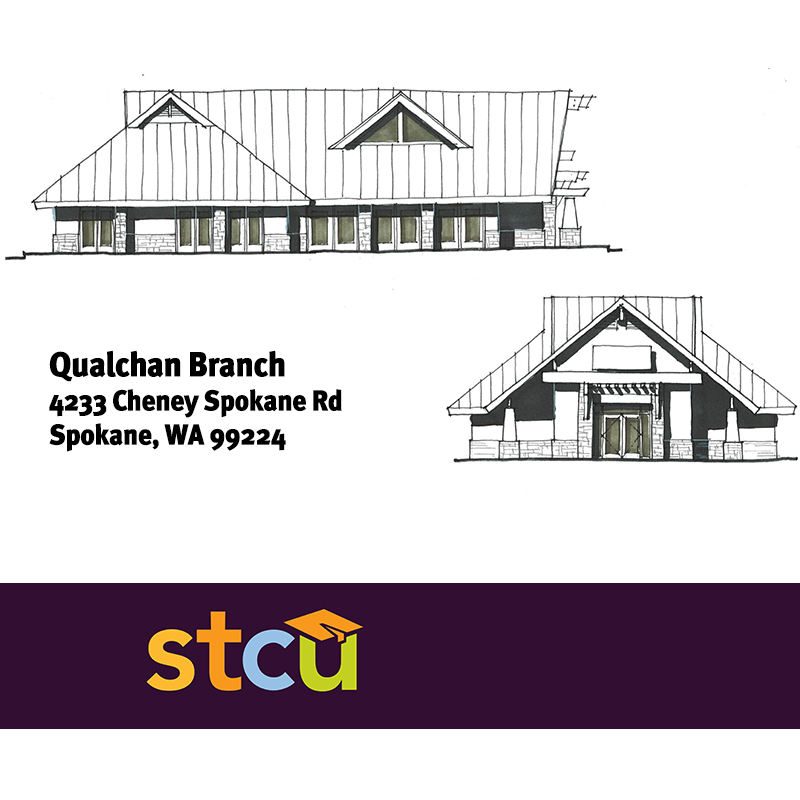 But now, STCU, who's membership is open to all local's, not just teachers, has announced another new branch location planned in the Qualchan area just south of Spokane. 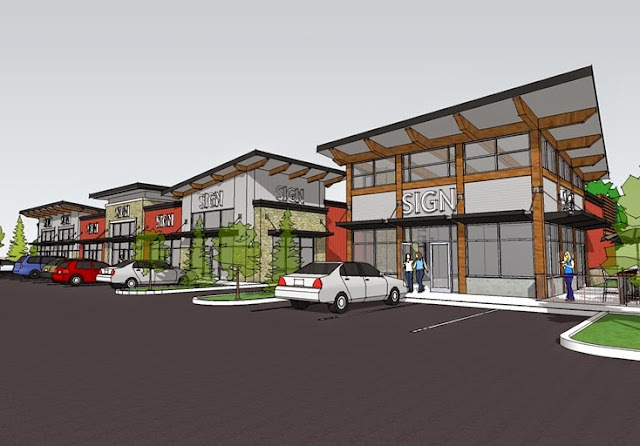 The new Qualchan STCU branch will be a tenant of the Latah Creek Plaza shopping center, which is the center just off of US 195 anchored by a Trading Co. grocery store. STCU will lease a former AmericaWest Bank branch that is already standing at 4233 S. Cheney-Spokane Road. While the building may already be standing, STCU will actually extensively remodel the building making the building nearly double the size and with the same craftsman style architecture used in many of the newer STCU locations. The new branch will be STCU's 19 branch location and will open for business sometime next year with construction starting in late 2015. Dave Black and Chris Bell of NAI Black brokered the lease of this new building. STCU is excited to come to this growing area and promises to bring great service and convenience to their members along US 195 and in the Latah Valley. The credit union is a member owned , not for profit cooperative, now with over 136,000 members and $2.1 billion dollars in total assets. Perhaps the days of the American mall are numbered. Sure, some malls like Spokane Valley Mall do great and even the Village at Riverstone is far from empty with many local businesses instead of all mall based chains ( Way to go, Riverstone ! ). But, yet again today I have to report of another mall store closing. Aeropostale , as part of company cutbacks, has shut their doors at two locations in the Inland Northwest . Both of which closed within the last couple of weeks ,these store closures do not target our area however as some closure did also happen around the nation. In fact, one Spokane location is still open for business in the Spokane Valley Mall. These two closures come on the heals of the store closures at Deb Shops, a Philadelphia based chain of clothing stores that actually folded completely. Deb Shops had stores in both Spokane Valley Mall and Northtown Mall. Additionally around the nation some mall store closures have also hit Barnes & Noble Booksellers and Wet Seal. However it is important to note that as of now neither are planning to go out of business at their locations in our area. But, I will because Benniditos Pizza, a local favorite pizza place since they opened back in 1996 is expanding and opening a new second location. They will still keep their current location at 1426 S. Lincoln but will also be located at 1909 E. Sprague Ave very soon. The new location on E. Sprague will be a bit different then their current business as the new location will be a full brewpub. Benniditos plans to brew their own beers on site and serve them in addition to their delicious pizzas. In fact, the menu of the Benniditos brewpub will be expanded and will also include sandwiches , soups , salads and more. The buildings Bennditos will use are both undergoing full remodels as the space was formerly an used car business called, BJ Motors. The location alone is huge news as it is just another chapter in the revitalization of East Sprague, from an area with crime issues to a new in demand business district sometimes referred to the Spokane International District. Some work has started, and a ground breaking / official announcement is likely coming next week. But, we have learned that Rockwood Health System, operating in this case under the Deaconess Hospital name is planning a clinic with and ER department on a long time vacant lot in North Spokane. The building will be roughly 12,700 square feet sitting on 5 acres of land. The new North Spokane Deaconess will have 15 private emergency care rooms in addition to an on site Laboratory department and diagnostic imaging department. Some office space will also be included as will parking and room for future expansion. Construction will likely start soon as a building permit for the new facility is currently under plan review. On those permits, M J Harris Construction Services, LLC of Birmingham,AL is listed as the contractor for the project. Hoopfest won't say when they will be in Spokane or if they will be live here or not. But, that it is confirmed that the long running sports show will in fact be in town. The 2015 Hoopfest will be the weekend of June 27th and 28th. Registration is still ongoing for teams to play in the Hoopfest, the world's largest 3 on 3 basketball tournament in Downtown Spokane. Another new strip mall is on it's way to Spokane Valley. Site work is currently underway with actual building starting in the near future for this new project. The strip mall will be located on the Northeast side of the Park Rd. & Broadway intersection, across from 7-11. this will be first retail strip mall in the immediate neighborhood which is a primarily homes and small light industrial facilities. While no tenants have been announced yet for the center, the above photo shows a potential for up to 7 separate stores and / or restaurants. The building shown here are considered buildings A & B and they will face Park Rd with an entry coming in from Broadway immediately to the right of this photo. A planned third retail building facing Broadway, next to Park Rd. is also in the plan for the site but will not be built yet. Also directly at the intersection of Park & Broadway is a pad site that is a possible site for a fast food restaurant. Leasing of space at 806 N. Park appears to be being managed by Spokane based Cornerstone Property Advisors but I cannot confirm exact lease rates for interested businesses. Although the space is desirable being at a high traffic intersection and near schools and many peoples homes. Despite some controversy, two old homes will be demolished sometime in the next two to three weeks at the corner Third & Coeur d' Alene Ave. in Browne's Addition. These two home are both historic but we're converted into smaller apartments sometime ago. 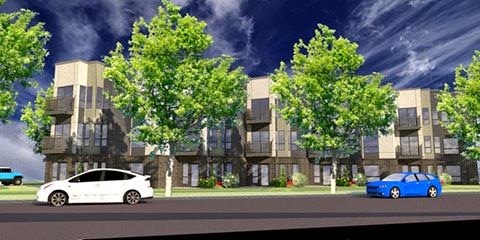 Now, a developer from the Seattle area using the name Kettrick Properties, LLC is removing the homes for a new large apartment building. We're told the new building will have 21 total apartments with differing sizes and floor plans . In all the new building will have 28,000 square feet of space with private parking located below the building. Construction is expected to begin in the next couple of months with apartment occupancy available in early 2016. We don't have much info yet , but have learned that the space where Madeline's once was will be filled once more soon. "Suite A-12" of the Crescent Court building at 707 W. Main in Downtown Spokane has a pending building permit for a new Mod Pizza location. This will be the second location in Spokane after a location opened just this month at Regal Plaza on the South Hill. Another is planned in Coeur d' Alene to be opening in July. Because it's early we don't know when this new location will open but it will likely be very similar to the other locations of the Western Washington based chain. Mod Pizza usually employ's about 40 and is a fast service pizza chain. We originally mentioned that it looked like a Bruchi's Cheesesteak & Subs location was to possibly take over the former Madeline's location. Bruchi's is coming to 707 W. Main but will instead replace what was a Pita Pit location. We don't know if Pita Pit will be re-opening elsewhere Downtown but they are now closed at the Crescent Court Building and tenant improvements are already underway for Bruchi's. Madeline's is still in business, in a new location in the 400 block of W. Main near the Liberty Building. Buffalo Wild Wings is planning to open their new restaurant at Northtown Mall in June. It will employ about 130 and hiring is already underway. 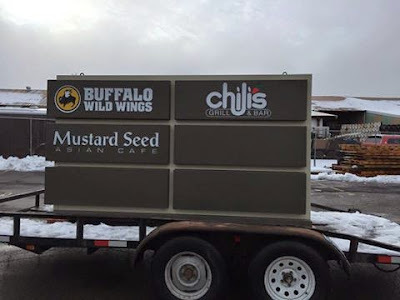 This will be Buffalo Wild Wings second location in the Spokane area as the chain also has a location on Indiana Ave, just west of Spokane Valley Mall. Although not a sure thing with no official news from Outback Steakhouse's corporate office numerous sources are telling me that Outback Steakhouse will in fact open a location at Northtown Mall. A new Outback Steakhouse would replace the location at Franklin Park Commons shopping center a few blocks north of Northtown. We're told their lease is up at Franklin Park and have decided to simply move. This could be a sign of future renovations at Franklin Park as well as that shopping center is where the new North Spokane Trader Joe's is coming. It's a very strong rumor, and if The Cheesecake Factory chain was to open in Spokane, Northtown Mall seems like a logical choice. But at this time we cannot prove nor deny that The Cheesecake Factory will open a location at Northtown. In my opinion however it seems like could be true based on how many times I've heard this rumor and the fact that the chain already has locations in Washington State. The rumor of a Dave & Buster's coming to Northtown Mall seems to have died down but could be true. All I know is that Dave & Buster is a rumor, but that it's at this time just that, a rumor. With a location in Coeur d' Alene , a new Texas Roadhouse could technically happen for Spokane. But, since most Texas Roadhouse locations I've seen are stand alone buildings, a Northtown Mall Texas Roadhouse seems unlikely. With several locations around Western Washington the rumor of a Famous Dave's BBQ still exists around Spokane. However it has not been confirmed to be coming to Northtown Mall , we will keep watching this one as we do think this may happen. If you can prove what restaurants and / or other new businesses are coming to the new section of Northtown Mall please contact me anytime, you can remain anonymous . I personally recently became a pet owner so the news of a new pet geared community center is big news, at least for me. The center, which is called the Francis Avenue Community Center describes themselves as "the place for people with pets" and with their many different pet related services and classes it's easy to see why. Francis Avenue Community Center opened in March and is located in about 3000 square feet of space at 1007 W. Francis Ave in North Spokane. They employ only a small group but offer a lot, the building has been divided up into a pet bathing area, dog playroom , common spaces including a kitchen, gift shop and even some event rental space. The center is primarily membership based and most features of the Francis Avenue Community Center are for members only. But, anyone can become a member and rates start as low as $ 12 per month with a trial pass option being available. In addition to all the features available on site at the Francis Avenue Community Center, many events and classes are also made available every month. Classes include movie nights to watch pet training videos , pet play and pet game nights and much more. And while the Francis Avenue Community Center is clearly mostly geared towards pets, it is a welcoming place for our pets' pets a.k.a humans. A few different cooking and crafting classes are also currently available at the center. While we we're far from the first to try the Timber Gastro Pub, the Inland Northwest Business Watch "team" did recently get to take advantage of a mock service at the new restaurant and bar in Post Falls. Here is what we thought and what you have to look forward to when you pay them a visit, which I would recommend you do. For those of you who don't know about Timber Gastro Pub just yet, it is the new restaurant that is taking over the building that once housed the Hot Rod Café in Post Falls ( 1610 E. Schneidmiller Dr. ). While the spinning hot rod on top of the building is clearly gone you can still see scars of the hot rod reserved parking spots in the parking lot. 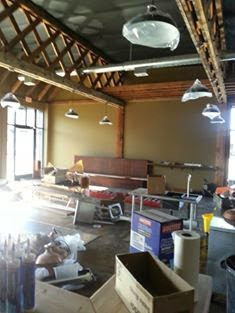 But make no mistake, Timber Gastro Pub is different from what once was. Timber Gastro Pub has different more modern look on the inside, being designed by HDG Hissong + Hurtado Design Group of Spokane. The interior is modern but a little on the plain side and here is where one of my complaints does come, it's very open. Openness can be nice but in this case it just makes it loud when you get that people a room together. It will probably be a lot better once the newness wears off and the crowds are so big though. One nice feature of the restaurants interior however is the fact that it pays respect to the history of the local area. The is done through lots of wood, logging pictures and stone through-out the building. This is important as Timber Gastro Pub is not a chain restaurant but instead locally owned and operated by Bill Miller and Randy Ingraham who also own Longhorn BBQ in Spokane & Airway Heights and Maggie's South Hill Grill in Spokane. In addition to giving Post Falls a new locally owned eatery, Timber has also created many new local jobs. Over 40 employees will staff the establishment and they are reportedly still hiring to fill some of those 40 jobs. Before I get to Timber's food, I must mention the bar. Timber Gastro Pub does have a full bar in addition to beer and wine. During the mock meals it looked like the full bar menu was maybe not yet available, but what they do have is a good list of unique mixed drinks, some even include beer. Timber Gastro Pub offers 16 different beers on tap. Sure, they don't have the most beers in the Spokane area but they do have a good selection. And, I must applaud them for serving a lot of local beers. Even some directly from Post Falls like the Down Draft Smash IPA from Down Draft Brewing Co. which opened not long ago themselves on Seltice Way in Post Falls. As you can see Timber also has a beer that was brewed just for them by Waddell's Brewing Company of Spokane. It is the Timber House Scottish Style Ale at the top of the tap list. This is what I ordered and in my opinion it is a must drink! A 6.5% ABV and a great very almost smoky taste, it's one of the most flavorful beers I've had in awhile. Timber Gastro Pub will serve a lot of different choices, from burgers and sandwiches to full entrees and yes pizzas made fresh in a wood fired stove, which can be seen right in the middle of the restaurant. During our visit, I ordered a burger called the Consummate. It was delivered fast and cooked well, I would have been ok with some pink in the meat for flavor but all in all I have no complaints. The consummate burger is a burger with both bacon cured in house and a sunny egg. It was very delicious and " hit the spot". The burger arrived with two medium sized patty's and seasoned " Timber" French fries. In addition to ketchup, which I have been told is made in house, but I cannot confirm that fact. The fries do have a generous amount of seasoning so be prepared for that but they are quite good. Water pitchers are left on each table for extra drinks, but the wait staff at Timber seems quite attentive. Our waitress, Kayila, was always there for any questions despite probably have many other tables to serve. They also can give ideas on what to order and tips on drinks, it's also nice that despite them just opening they amount of staff was not overwhelming. Some new places seem to have as many staff members as the do customers on their first nights in business. I must admit, when I heard another bar was coming to Post Falls I had my doubts considering at the time it was marketed as exactly what Post Falls needs. But, I take back those thoughts as this is exactly what Post Falls needs. A new place to just get some good food that's a little different the all the chains and the fast food restaurants. I will definitely be going back to Timber Gastro Pub. It's a place that most people can probably agree on and with some good drinks to keep the mood light and fun. Thank you, Timber Gastro Pub for allowing us the opportunity to dine in this mock service meal. It's always good news when a company choses to operate a office in Spokane or expand their existing local operations. But one new local office expansion is even bigger news then normal. That's because the large expansion / remodel of Pitney Bowes Spokane offices is also a consolidation of the company's sales force to right here in Spokane. Pitney Bowes will continue to operate in the same location in Rock Pointe office complex at 1313 N. Atlantic but now with additional space. Pitney Bowes now calls it's local office the Center of Excellence for Inside Sales. We don't have figures of how many employees work in the local office they do point out that over 200 new jobs have been created in Spokane by the company over the last year. This expansion is being done in phases with the first phase having been just completed. Two more phases are still under construction and will be completed by the Fall of this year. Pitney Bowes is a Stamford,CT based provider of ecommerce , mailing equipment and supplies and customer management solutions. All together the company has over 16,000 employees all around the world . A major new development is in store for the area by Felts Field Airport in Spokane. A group of investors using the name EFT LLC has unveiled plans for a new 40,000 square foot hanger style building to house a few businesses including one museum that's been under development for some time now. The new building will be located just west of the main airport terminal / offices. The museum, Honor Point Military & Aerospace Museum , will lease about 10,000 square feet of space there with a small parking area designated for museum patrons. Honor Point Museum is a sort of re-birth for the military museum that once operated on base at Fairchild AFB many years ago. In addition to Honor Point, the space in the new building will also house Western Aviation, Inc. a fixed base operator who serves Felts Field . Western Aviation already operates nearby but will relocate to the new site which will be bigger an more up to date then their current home further down on E. Rutter. Additionally other space will be available for lease and rumors of a few other tenants have already surfaced. Construction work will begin on the building which is currently being called the Felts Field General Aviation Flight Center by the end of May. The center should open sometime early next year and cost about $2.8 million to build. And, while the building will be brand new with state of the art features but the look will blend in well with the other buildings in the historic section of the city around the airport. New Spokane Comcast call center CONFIRMED! If you've been following inlandnwbusiness.com for some time now, you'll know I previously posted about the strong possibility of Comcast establishing a new call center here in Spokane. And, I can now confirm that Spokane will in fact soon be home to a new large call center for the national cable and internet company. And, not only will this new call center help our local economy it will also create many new local jobs bringing Comcast up significantly in the rankings of local employers. Comcast has yet to pick an exact site where they hope to build their new call center, but have ID'd three local sites. My sources says the new call center will be built in Liberty Lake. Until the call center is built / open a interim center will open, that location also has yet to be announced. Although, one of my sources says it will be located on Sullivan Rd. in Spokane Valley. But this information is not official, although it may be true as the Sykes Enterprises call center space still remains empty and for lease on Sullivan, north of I-90. When built the new Comcast call center will likely occupy about 80,000 square feet. The big news behind this new Comcast call center is the amount of new jobs being created. The new call center will employ 675. The company plans to hire about 80 new employees every six week to bring their staffing up to 600+. Pay is not mentioned but the positions will offer full benefits. The new call center will be primarily in bound customer service but some sales will also be done at the Spokane location. The Spokane call center was originally purposed by the company during the company's merger with Time Warner Cable. 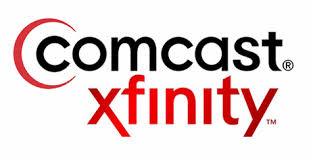 The local site was to assist Time Warner Cable customers with the switch into Comcast / Xfinity service. Since then that merger has fallen through but the company has decided to push forward with open the center here. The company says it decided to keep it's plans for a call center in Spokane based on the local area's quality work force and proximity to higher education. Spokane is not the only location where Comcast is planning a new customer service call center. Other Comcast call centers are planned in Tucson, Arizona and Albuquerque, New Mexico . This is in part due to many recent customer service issues Comcast has had nationwide. Including a national news story that originated here in Spokane when local resident Lisa Brown complained to the media when Comcast changed their bill name to A**hole Brown. The company is taking a step back and re-thinking how they do customer service. Headquartered in Memphis, TN , FedEx is not only one of the nations largest companies it's also a major player in the local economy here in Spokane. And FedEx's footprint in Spokane is getting larger with planned major expansion at the FedEx Ground hub facility is Spokane Valley. FedEx will add on over 46,000 square feet to it's existing center at 4005 N. Moore Rd, immediately north of the Spokane Business & Industrial Park. The building is already over 76,000 square feet, so this expansion will take the facility over the 100,000 square foot threshold, coming in at 122,000 square feet. The FedEx expansion will also include new package handling equipment and a un-announced amount of new local jobs. This is also the second major business expansion announcement for the same section of Spokane Valley. Back in 2014, Core Mark signed onto lease a 50,000 square foot expansion of their building also on the north side of the Spokane Business & Industrial Park. Core Mark now has over 150,000 square feet to provide c-store industry with merchandise. Back over FedEx construction will start soon on their own project and if all goes as planned it will be ready for business around October of this year. One part of Spokane seeing a lot of commercial building activity is the area around Franklin Park Mall in North Spokane. And, since Trader Joe's was announced recently to be opening a second Spokane location at the shopping center I've been receiving some e-mails about what is what up there. Being built in what once was a parking lot adjacent to Burlington Coat Factory at 5840 N. Division is brand new Rite Aid store. This new store will open later this year and will replace the current Rite Aid in the in line space at Franklin Park Mall. The store will be a full Rite Aid store with both pharmacy and retail store. The chain will occupy 17,000 square feet of space there. Construction is well under way and being done by the locally based Vandervert Construction. Trader Joe's is not building there own stand alone store but will instead remodel and move into the space last used by the Franklin Park Rite Aid. The site, which is at 5520 N. Division already has a building permit under plan review so construction there should be coming pretty soon. The plan for Trader Joe's calls for a new store at a little over 12,000 square feet. We don't know how many new jobs this new Trader Joe's store will create but we do know it is planned to open sometime late this year. While not actually part of the Franklin Park Mall shopping center, people have also been noticing the new building going up just to the south of shopping center. This is in the formerly vacant lot by Thai Bamboo / Did's Pizza & Froyo right on Division. This building, which is under construction now will be a two story , 12,000 square foot bank / office building for the Seattle based Washington Federal Bank who recently came into the Inland Northwest by acquiring many former Bank of America branches. While already in the Inland Northwest, this marks Washington Federal's first move into the City of Spokane itself. The bank will open in the new building, which is at 5322 N. Division in the fall of this year. The first floor of the building will be used as a bank with the second floor being a new regional headquarters for the bank. In advance of the new building opening later this year, Washington Federal has opened a new temporary branch in leased space near Northtown Mall. This new branch is a full service branch and can be found in the former Cogo Capital space at 4610 N. Division suite 1. In March I mentioned on INBW that it appeared construction on the large apartment building, believed to be called University Apartments, was to start soon in the University District at 940 N. Ruby. Well I can now confirm that Baker Construction and project developer 940 N. Ruby LLC will break ground at the site tomorrow, Tuesday May 5th, at 9:00 AM. For those unfamiliar with this project, it is to be a new six story apartment complex geared towards student housing. The complex is highly convenient for students as the site is just west of Gonzaga University and not far north of Washington State University's Spokane campus. In addition, the new complex is under a mile north of Downtown Spokane for all the shopping / dining and services offered there. -61 separate apartment suites, with 3 and 4 bedroom floor plans allowing 213 rooms. - Suites will all offer washers and dryers, stainless steel appliances, granite countertops, designer interiors and flat screen TV's . - The complex will also offer free underground parking, secure card building entry, exercise rooms, private study rooms, lounge/ rec room and a open air deck with BBQ area. Already an upscale restaurant, and perhaps one of Spokane's finest dining destinations, Masselow's, located inside Northern Quest Resort & Casino just got a bit cooler as the restaurant is now Masselow's Steakhouse. Diners at Masselow's will still enjoy much of the same menu items as before like fish , poultry and\ other favorites. But now the restaurant will also feature state of the art steaks with a larger steak program. The steaks are cooked on a new briquette grill with top quality meats like the 28 day aged prime grade cuts of meat! This is the first weekend open for the new Masselow's Steakhouse at Northern Quest Resort & Casino. Also, the restaurant recently expanded their wine selection with a new wine area now open by the former lobby coat check. Anthony's Restaurants planning a new Anthony's Beach Café - already mentioned on this site this is confirmed to be coming to the site next to Bardenay Restaurant overlooking to Riverstone Pond. Aspen Homes new corporate HQ- Aspen Homes, a more upscale and mid scale home building with many projects in and around Coeur d' Alene is planning to occupy a new small office building on Lakewood Dr. in Riverstone. Aspen Homes will also be joined by an office of the business, Labor Consultants. Pinkerington Retirement Specialists- Pinkerton is planning to relocate their own corporate headquarters to Riverstone. This with large new building currently under construction on the Riverstone Pond on John Loop. The site will open later this year and will also house the Idaho Wildlife Museum. A new 55+ apartment complex- Not sure where but this will likely be the project to go in at the corner of Seltice and Riverstone Dr. as apartment developer Whitewater Creek recently acquired that space and some signs are up on the property. Riverfront Townhomes- The long stalled Bellevere development is back in gear and many new luxury homes are and will be under construction soon along the Spokane River within the Riverstone project. -Coeur d' Alene based Active West Developers is developing a gated subdivision of small, energy efficient homes off of John Loop on the western side of Riverstone. - The Sola Salon chain is opening a new location on Main St. in Riverstone. 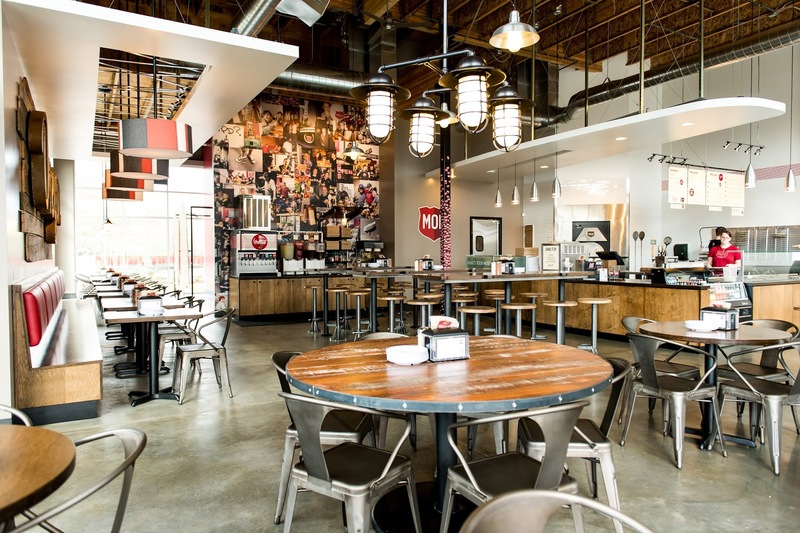 -New restaurant, Melone's Culinary Public House is now open next door to Starbucks. -Nana Mac's clothing store appears to be opening a sister store called Little Mac's in the space that was last a baseball card store on Main St.
-Something looks to be opening at 2040 N. Main, what? I don't know yet. - The Riverstone location of the Aeropostale has closed it's doors, other local locations are still open however. On the up side this leaves a big open spot for a growing local business to get a prime Riverstone storefront space. -Riverstone Dental Care expanding. The local clinic with a long run in the development is expanding by taking over the former Exercise Institute building on Merritt Creek Loop which is right next door to their current office. The current office will also stay and the new building will allow the office to add 5 new operatories. -Chief Architect , a software firm that develops architecture programs is planning to build a new office building at Riverstone to house a new bigger corporate headquarters for themselves. Currently they are in leased space in North Coeur d' Alene. And, while Riverstone is quite the hub of new business openings there still room for more new business. Some land , storefronts on Main ,offices are still up for lease and/or sale. The residential condo's are sold out but some are still for sale / rental by there own individual owners.